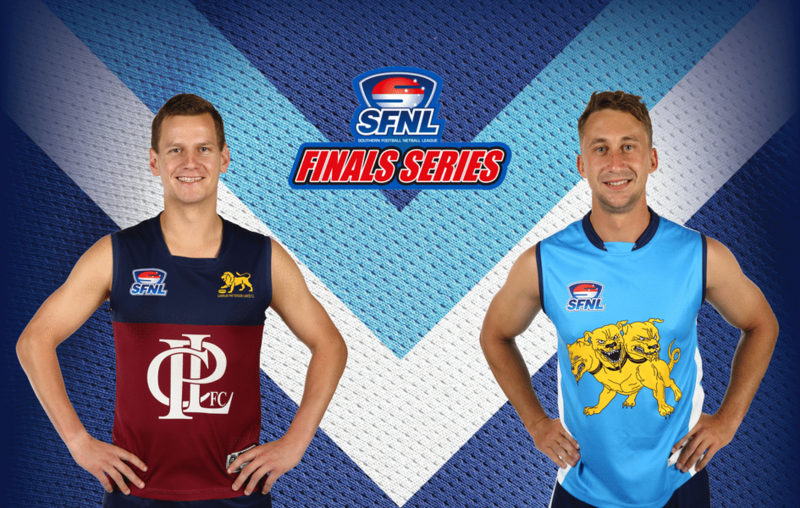 A place in the Grand Final is up for grabs when Carrum Patterson Lakes and Cerberus clash in a blockbuster matchup at Keysborough Reserve. Both of these sides have been exceptional this season but the journey must end for one of them this weekend. Whilst CPL finished on top of the table and have been the most consistent side all year, they were well down on their usual high standards last week. The Lions were shut out by the Lightning in the Second Semi Final, only booting five goals in a disappointing day. The minor premiers just couldn’t get their attacking style up and running, as Lyndhurst proved too strong in the contest. They will be after a much better showing this week after many players lowered their colours in the loss. Alex Wilson and Brenton Rafferty, so often dominant throughout the season, were well held last Saturday with only the one goal between them. Subsequently with their star duo quiet up forward, CPL just couldn’t find an avenue to goal and struggled to kick a winning score. However, Cerberus’ game style is quite different to Lyndhurst’s defensive structures and this could create more scoring opportunities for the Lions forward line. But the Dogs are running hot and have not dropped a game in their past 10 appearances. In fact, their last loss came three months ago in Round 8, coincidently against CPL. In that clash CPL bullied the Dogs from start to finish, but Cerberus is a completely different beast now. Following a week off before the finals series, the Dogs looked the fitter and stronger side in their clash against the Dolphins as they ran over the top in the final term. Surprise packet Jimmy Miller continued his good form up forward with three goals and will certainly be attracting some close attention come Saturday. The Dogs good spread of 22 contributors across the board makes them a difficult side to keep down with only a handful of standout players. If they can handle the Lions impressive forward line it will put them in good stead for the match. This will be a fascinating clash as there is no clear-cut favourite expected to win. Both sides have legitimate claims as to why they should win, but this is a genuine toss of the coin. There are some question marks as to whether the Dogs can keep their incredible run of form up, as one down performance now will be the end of them. CPL have been the best side overall for the season though and have earnt the right of a double chance. Expect them to take it with both hands. Carrum Patterson Lakes by eight points.